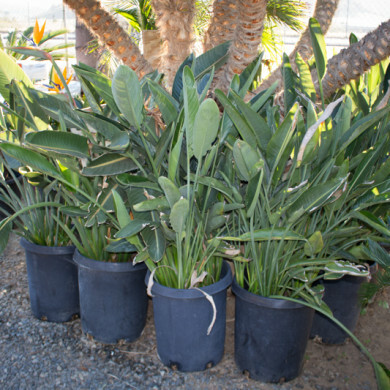 Cluster grows long stalk with long leaves. 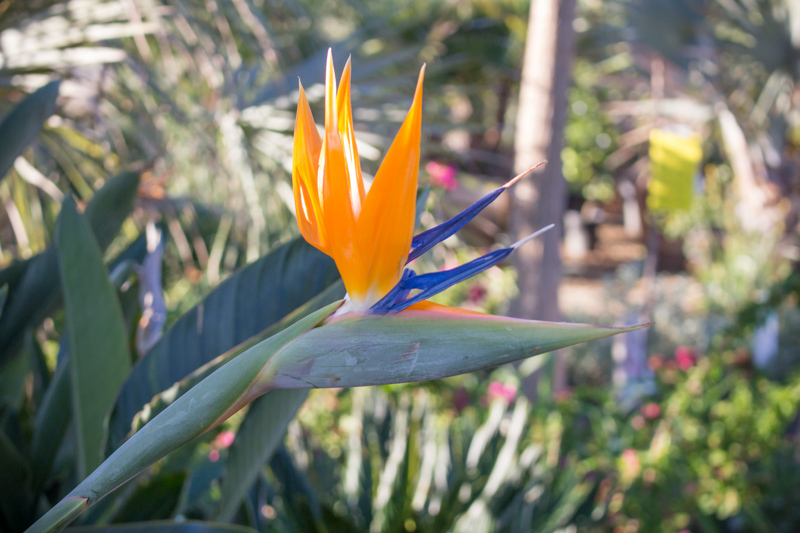 Known for the orange, blue and white flower that resembles a tropical bird. The flowers last a long time and can be used for cut flowers indoors. 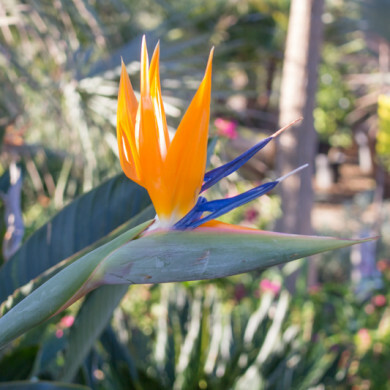 Main blooming period is in the fall and winter but does have sparse blooms year round. 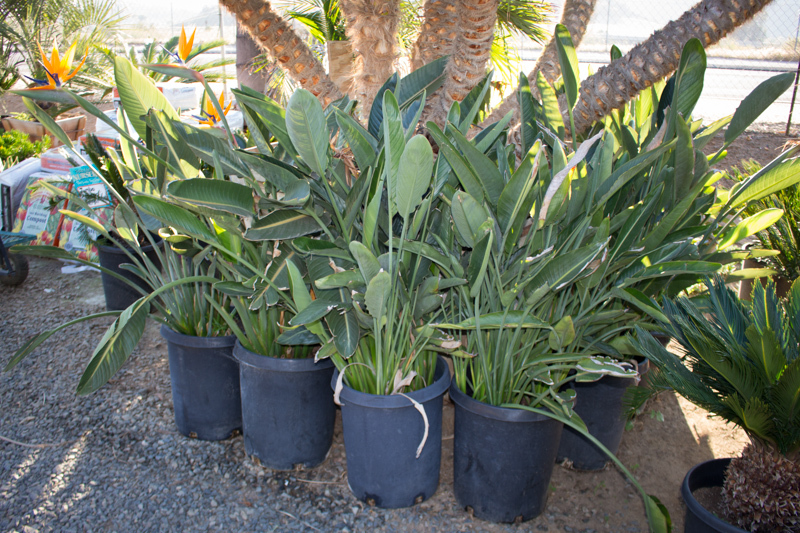 Height and width can reach 5′-6′.